Local media showed footage of a large man slashing wildly at police officers before being shot. Counter-terrorism police and intelligence officers are still piecing together how the incident occurred, but it is known the attacker drove a 4x4 truck loaded with gas bottles into the bustling city centre at around 4:00PM (0500 GMT) on Friday evening. 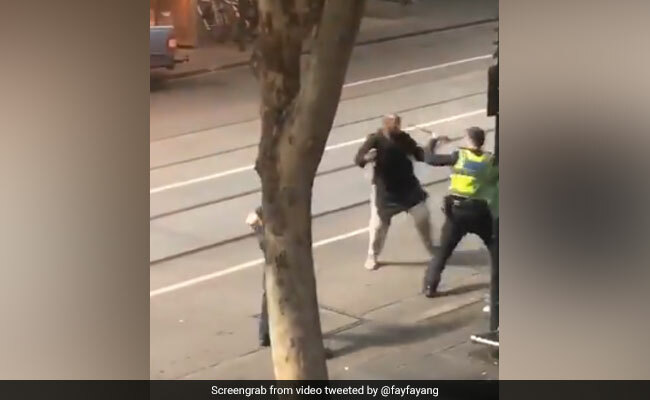 Witnesses said the man -- who was wearing a dark tunic -- attacked members of the public in a popular shopping district with a knife as his vehicle was ablaze, before being confronted by police. Friday's attack is a double blow for the city as it coincides with an ongoing murder trial of 28-year-old James Gargasoulas, who ploughed his car into crowds in the same area in 2017, killing six people.